New offerings at Sea Glass Things this fall! Sea Glass stitch markers are now available in my Etsy store with more to come! The stitch markers are a fun accessory for yarn enthusiasts and also make great gifts for the holiday season. 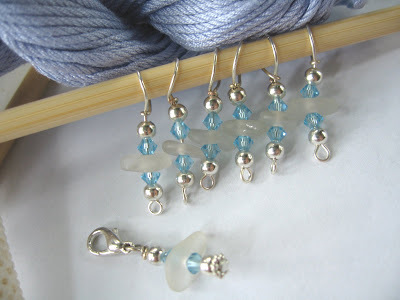 Each set of 6 stitch markers also comes with a row marker... be on the look out for sea glass knitting needles as well! Check out Sea Glass Things for great holiday gift ideas.